Andrew J. Annes handles challenging real estate transactions by breaking down complexity into simplicity. He provides practical solutions to a wide array of clients – including individuals, private companies and institutions – with legal and business problems, serving as a bridge between businesses and where they want to be. Over the course of his career, he has successfully navigated every facet of commercial real estate, including closing more than a quarter billion dollars of joint venture real estate development deals in a three-month period and crafting and negotiating commercial leases for high-end retail in downtown Chicago and beyond. He has also served as the long-standing outside general counsel to successful businesses through booming financial periods, as well as guiding them through challenging times. Andy is a leader, trusted adviser and advocate for his clients’ businesses, often working as a partner through decades of growth and opportunity. By leveraging his background in business law, commercial real estate, litigation and estate planning, he brings a holistic approach to clients’ business needs. As the longtime President of SATC|Law (formerly know as Schenk Annes Tepper Campbell) and an Illinois managing real estate broker, Andy has the reputation of turning legal issues into business successes. His foundation in business training, coupled with extensive experience with a vast array of business and legal matters, allows him to provide a unique perspective to clients, many of whom have sought his advice for decades. When necessary, Andy brings a steady hand to even the most adversarial litigation scenarios. 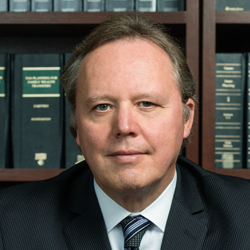 A member of the Federal Trial bar, he maneuvers through the legal system with pragmatic business sense and a focus on the big picture, ensuring issues are resolved quickly and efficiently. He gives back to the community by serving as the director of various private foundations and enjoys golfing, skiing and traveling.